I had a great Pi day yesterday at The National Mathematics Teachers Conference, organised by La Salla Education (@LaSalleEd) interacting with many other teachers from around the UK. My only regret is that I didn’t stay the night before, it sounds like a lot of fun was had. The day got off to a good start with breakfast pastries and coffee, I’m sure I had more than I should have done but they were very tasty! After the welcome from Mark McCourt came the welcome from Andrew Taylor of AQA (@AQAMaths). He focussed on problem solving and emphasised that despite what you may think from the media at the moment problem solving is still an important component of the AQA assessment materials. He explained how the problem solving focus has been around for a long time and highlighted some materials that AQA developed with Leeds University’s Assessment and Evaluation unit to support the teaching of problem solving some years ago. 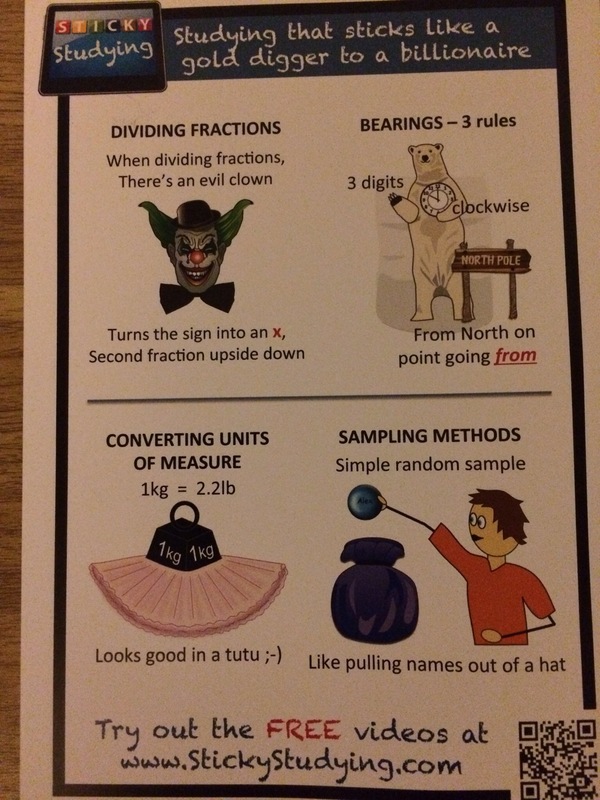 I wasn’t aware of the “90 maths problems” resource and I’ve had a quick flick through the extract they provided in print form – I particularly like the “Javelin B” and “PQR” problems. I’ll be downloading the full resource from AQA’s All About Maths site and having a proper look. 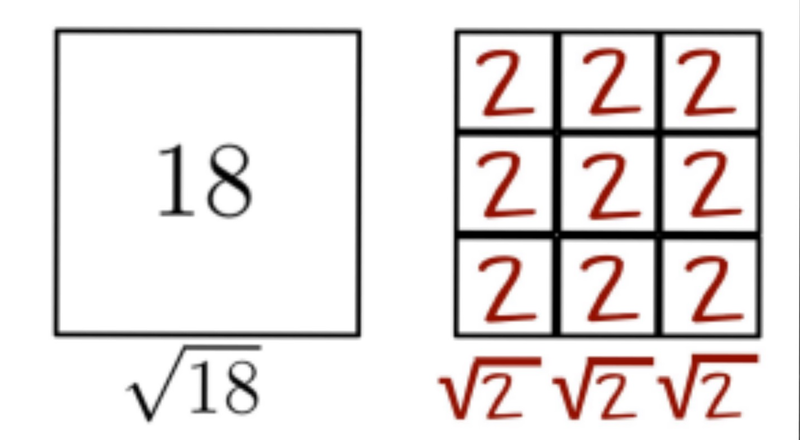 The dividing fractions one I particularly don’t like as this doesn’t help understanding. Just memorising things and methods is very different to what I am beginning to call “conceptual memory” – I’m sure this phrase has been used before…..
Before the session I had always been very dismissive of the idea of writing a journey/story to remember a list of things. I think this is perhaps because I didn’t have problems remembering things at school and thought this meant that there was just more things to remember. However, at the beginnig of the session we were asked toremember 20 random objects and embarrassingly I only remembered 5. At the end we were asked to remember another list of 20 objects by writing a journey and I remembered all 20. Whilst this wasn’t a totally fair comparison (the first list was spoken to us and the second was written), this session has at least made me consider whether these kind of memory techniques could benefit students who struggle to remember. Feel free to play with this yourself on a short GeoGebra sheet I have hosted here. I can’t believe I had never spotted this before. He also showed a beautifully simple demonstration of parabolic motion, I tweeted a video of this, but will try to upload it to this blog soon too. For the final session of the day I went to Jo Morgan‘s session on “Tips and Tricks”. This session was fantastic, and despite following her resourceaholic blog avidly there were plenty of things I hadn’t considered before. The organisation of the session was great, with some questions to do and then time to discuss with other people. It was great meeting Keith Morrison and talking about different approaches with him. I’d never seen the indian method for calculating HCF and LCM. I’m not really sure how I feel about it – think I may give it a go with one of my classes and see what they think. 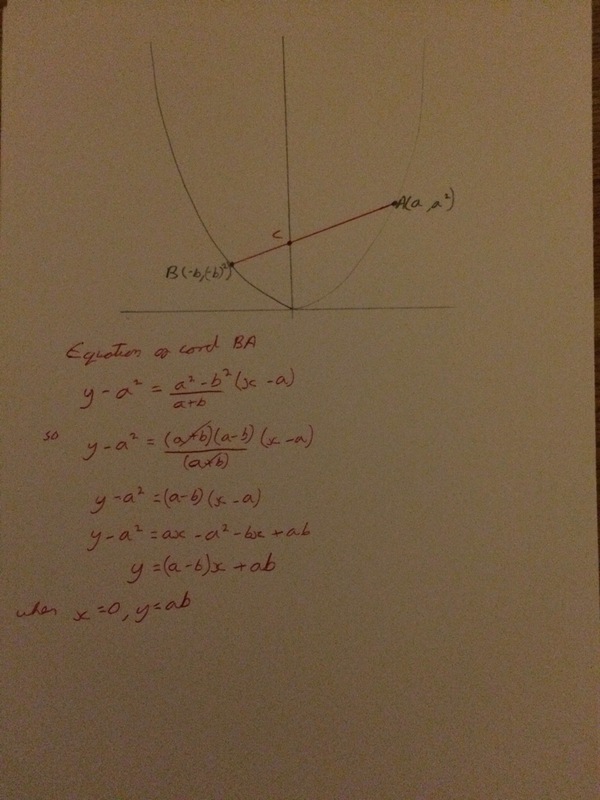 It was interesting to see different methods for finding the minimum of a quadratic curve – I always default to completing the square, but lots of GCSE students seem to find completing the square hard so maybe this is not the best approach. The symmetry method, I think is something I use if I have a graph in front of me, but I hadn’t considered using it purely algebraically before. Jo also talked about the great “Nix the Tricks” book that is avaialable freely online. I’m a big fan of this book, but I definitely won’t be using this approach when teaching the simplification of surds. I realy don’t see the advantage of this. Jo has made her presentation and workbook (I was strangely excited to get a workbook!) available online here and she will be blogging more about the content of her presentation soon. Inbetween all of this I had some useful comversations in the exhibitors area, especially with Tim Stirrup (@timstirrup) of Mathspace. I think Mathspace is a great product, and the fact that they are adding in more A-Level content makes it an even more attractive proposition. I also bought a few books from the MA stand and nicely discounted prices, discussed the Core Maths qualification with @AQAMaths and had an interesting discussion with the maths team at Oxford University Press (@OxfordEdMaths) about their textbooks for the new curriculum. Thanks for supporting MA and ATM bookstalls.